Colonel Steve Whitney was sworn in Wednesday (July 8, 2015) as the director of the Global Positioning Systems (GPS) Directorate, Space and Missile Systems Center, Air Force Space Command, Los Angeles Air Force Base, California. For the past two years, Whitney has served as senior materiel leader in the Directorate’s GPS User Equipment Division at the Space and Missile Systems Center (SMC), Los Angeles Air Force Base, California, which among other things is handling modernization of Department of Defense GPS receivers through the military GPS user equipment (MGUE) initiative. 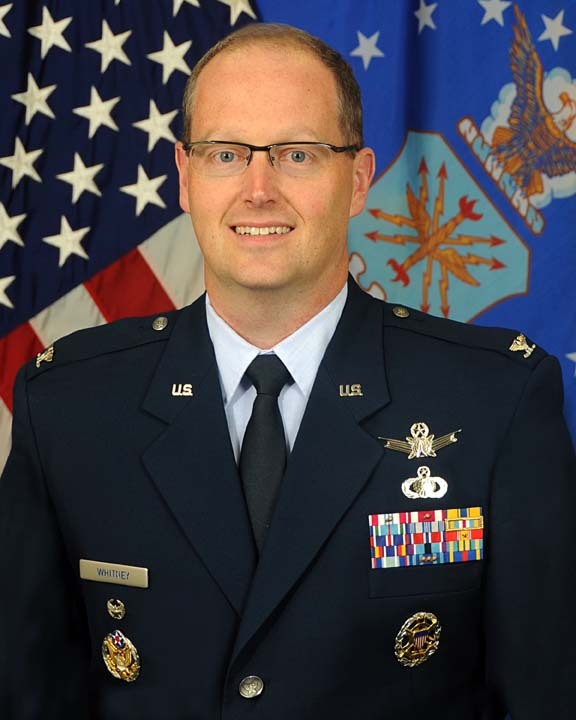 Previously, he has served in a wide variety of space system acquisition and operations leadership positions within the Air Force, Joint Staff, and the National Reconnaissance Office. As leader of the GPS Directorate, Whitney is responsible for a multiservice, multinational systems directorate that conducts development, acquisition, fielding, and sustainment of all GPS space segment, satellite command and control (ground), and military user equipment. The $32 billion GPS program, with an annual budget over $1 billion, maintains the largest satellite constellation in the Department of Defense. Whitney obtained a bachelor of electrical engineering degree from the University of Minnesota, an M.A. in administrative sciences from George Washington University, and M.S. degrees in systems engineering from the Air Force Institute of Technology and in national security strategy, National War College.